Grasping today’s technology is invigorating if not, shall we dare say, enlightening. We’re entering another phase of technology if you will, and it’s easy as saying Raspberry Pi 3. 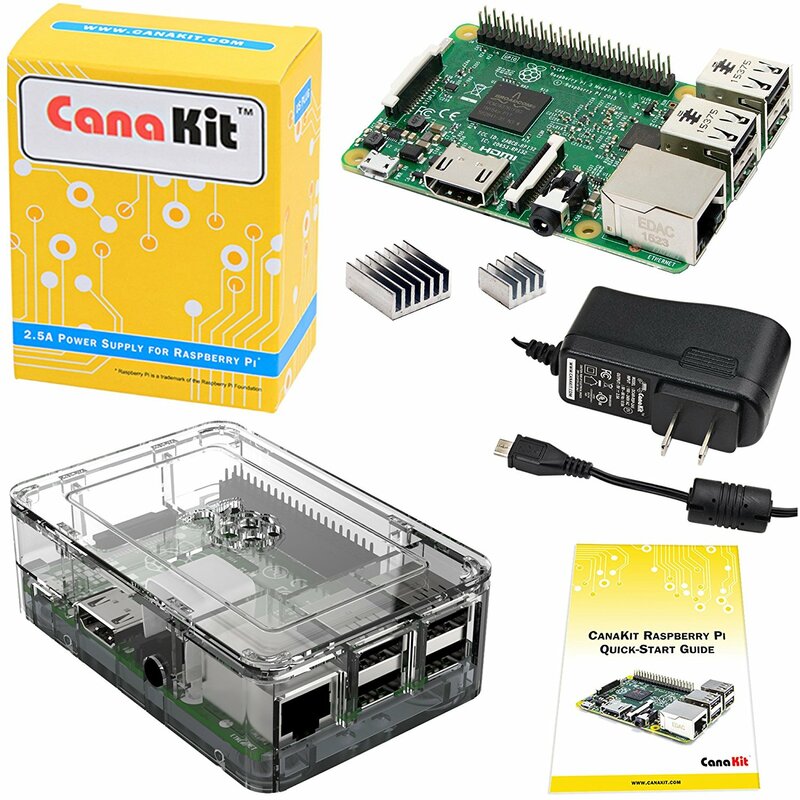 If you want to discover the future of computing, then here’s the action kit: CanaKit Raspberry Pi 3 Kit with Clear Case and 2.5A Power Supply. A memory card is what it takes to transfer the software to the Raspberry Pi box, in order to initiate the startup. One must download the software from a computer. Also, the user really needs a wireless mouse and preferably a wireless keyboard, and FYI, this particular wireless mouse does a fantastic job. Some may prefer the Raspberry Pi remote control to keep it simple. Here’s the combo package: Logitech MK270 Wireless Keyboard/Mouse Combo, Logitech Wireless Mouse USB (Black). While utilizing the HDMI cable, the user can employ a monitor or a television set that is equipped with the port, and most modern sets do have the port. Being an irrational number, Pi cannot be expressed as a fraction, as Raspberry Pi 3 cannot be expressed exactly as usable technology, yet there are various possibilities. Welcome to Raspbian land. “Raspbian is a Debian-based computer operating system for Raspberry Pi.” It is now officially provided by the Raspberry Pi Foundation, as the primary operating system for the family of Raspberry PI single-board computers. It is Linux based, however, there are versions that use Windows instead of Linux. Pascaline in size, format is the nature, whereas radiant energy can be released by certain electromagnetic processes. To begin with, the Noobie may consider the NOOBS format, as well as LIBREELECT. Add-ons are too numerous to mention. What is fashionable today may be out of vogue tomorrow. When the unit first arrived in the mail, I was not exactly enamored with what was entailed. It seemed like a hopeless cause, yet I plowed on, realizing that each step would be incremental in nature, and not giant leaps. And I would like to emphasize that the kit is a fantastic deal; I am referring to the setup process, which became easier and equally rewarding with the bumps. As time elapsed and progress moved forward, I began to realize what a gem I had received. While I still consider myself in a learning curve, I envision the future of technology embracing this gadget, as well as other gadgets just like it. Education, entertainment, computing, and other lists will probably travel in this same direction, as technology becomes more available in various forms. The units are becoming smaller, faster, and more mobile. Basically, what you have is a mini-computer without the luggage, and without the price tag I might add. The kit is reasonably priced, especially when compared to other high-priced gadgets on the market. The USB ports, the electric adapter, and everything else worked fine. Nothing is perfect and I do recommend the user be gentle with the outlets, just like any other computer. The unit is wireless and it does have a port for the ethernet cable. The wireless part worked flawlessly, but in the future I may acquire the ethernet cable to see if there’s a difference in speed, which I doubt will be significant. Would I recommend this unit to other enthusiasts? You bet! The tech level is just a bit higher, so having someone tech savvy at arm’s length is going to be a must, at least until the setup is finished. From then on it’s pretty much smooth sailing.